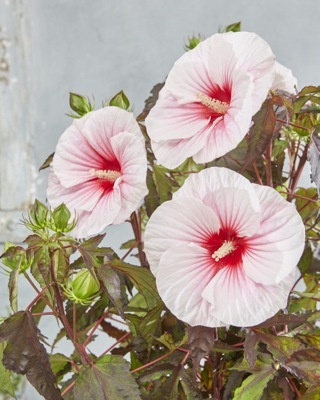 The Hibiscus Carousel™-series features varieties with deeply incised and dark purple foliage, an abundance of large flowers, a bushy growth habit and low maintenance. Its flowers have an impressive diameter of 6-7"! 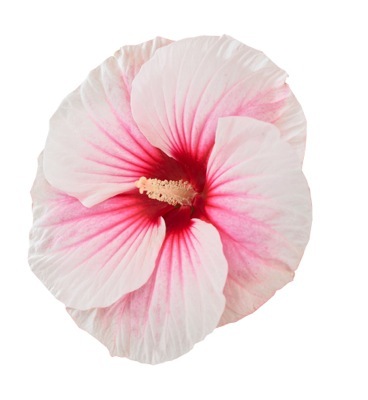 Hibiscus Carousel™ Pink Candy has large, pink flowers. Prune in spring. 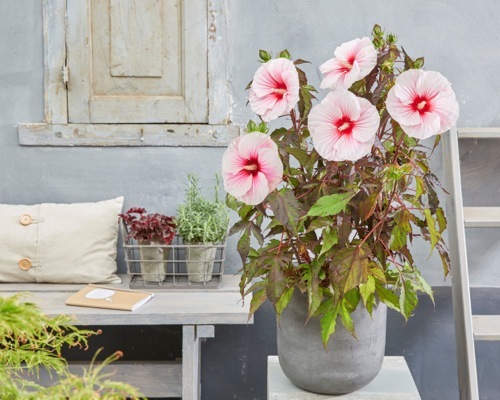 It prefers full sun and rich, moist soil. It performs great in containers. Also very good for plant borders, mass planting and combined planting. Try out other members of the Carousel®-series to give a splash of colour to your garden! 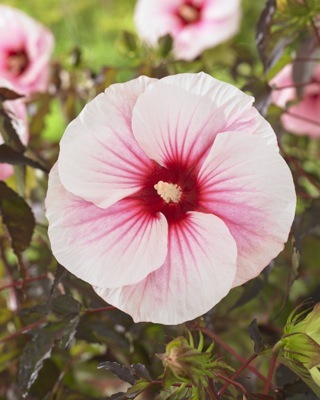 Hibiscus moscheutos Carousel™ Pink Candy is the eye candy from the Carousel™-series!